Print & a little thing called death. This project could very well mean the end of print as we know it. I’m very conflicted about the subject of print versus digital. Currently, in my head, there are two sides to this conflict, as there are in many conflicts, on one side there is the green tree hugging hippy that has made his only goal in life is to preserve what the earth has given us and on the other is the headstrong young graphic designer that doesn’t want to give up the authentic and beautiful feel of paper. Now don’t get me wrong I love all these amazing devices that will eventually eliminate the need for paper, but the idea of being able to touch and feel a book or an inside spread of a magazine gives me more intimacy with the information on the page. It also gives me a sense of ownership over the publication. The printed page gives me a playground that lets me project my own environment and personality on to it. What I’m trying to say is that I like the idea of what Google is doing, in the sense that all that information will be literally at our fingertips, but just because its online doesn’t mean we can’t go down to a real library and thumb through a real life book. Finally I think that print will never die completely because the designers and publishers of the world will continue to push the paper companies to innovate and strive for a clean crisp 100% recycled sheet of pristine paper. so in closing, I wish Google the best of luck in their attempt to harness, make sense of, and share this information with the world. 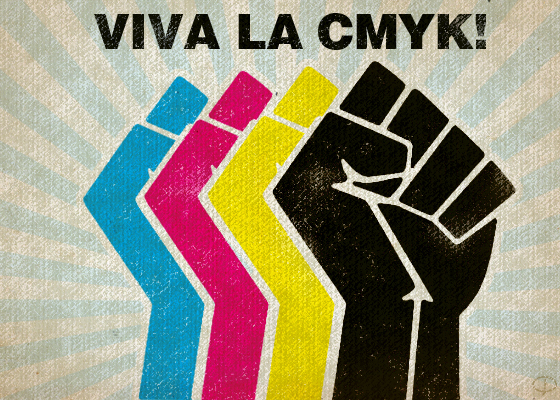 At the same time though I issue a challenge to everyone to recycle when ever you are given a chance so future designers will know and understand the power of CMYK.